Clouds in the mid-latitudes shifted toward the poles during that period, as the subtropical dry zones expanded and the highest cloud-tops got higher. These changes are predicted by most climate models of global warming, even though those models disagree on a lot of other things related to clouds, says Joel Norris, a climate scientist at the University of California, San Diego. "I guess what was surprising is that a lot of times we think of climate change as something that's going to occur in the future," says Norris. "This is happening right now. It's happened during my lifetime — it was a bit startling." About 70 percent of our planet is covered by clouds, at any given moment. These constantly moving shape-shifters aren't exactly easy for scientists to study. Clouds aren't as simple as their fluffy nature might suggest. To understand them, scientists have to track the behavior of tiny water droplets, as well as huge masses of clouds that might be hundreds of miles wide. And climate modelers also have to take into account the fact that clouds can have two different effects on temperatures. "During daytime, if there are a lot of clouds present, thick clouds, then that will keep the temperature cooler," says Norris, because clouds reflect incoming sunlight back to space. But thick clouds can also act like a blanket that keeps the Earth's warmth in, he says, "which is the reason why a cloudy night won't be as cold at the surface as a clear night." Clouds have been called the wild card of climate science. 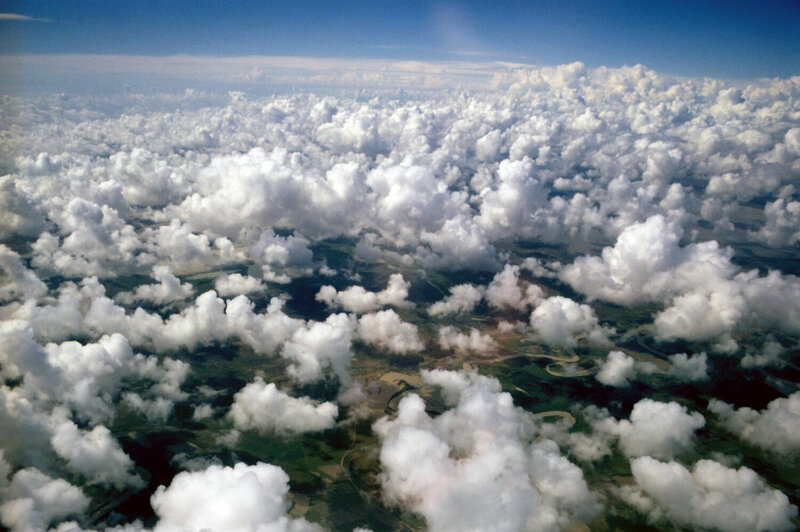 Researchers argue over how exactly global warming will affect clouds and vice versa. While weather satellites can give you tons of cloud pictures, Norris says these satellites aren't that great for trying to figure out long-term trends. "The difficulties we have is that every few years a new satellite is put up with a different instrument, the orbits change, and this all changes how much cloud the satellite measures," Norris explains. So he and his colleagues recently did a bunch of corrections that would make it possible to compare cloud measurements over a couple of decades, starting in the 1980s. In this week's issue of the journal Nature, the researchers explain how their findings match what scientists would expect to see, based on climate models. Norris says it's probably happening primarily because of two influences — human-produced global warming, and also the recovery from the cooling effect of two volcanic eruptions during that time frame. So will other climate researchers buy this new history of clouds? Kevin Trenberth at the National Center for Atmospheric Research in Colorado isn't so sure. "This is a very good attempt to try and get a handle on this, but I don't think it's the final answer," says Trenberth, who notes that the time frame studied was pretty short and included a period often described as the global warming hiatus, from 1999 to 2013. Climate researchers still have a lot of work to do when it comes to understanding clouds, says Trenberth, who believes the state of the science is still like that old Joni Mitchell song Both Sides Now, in which she sings, "I really don't know clouds at all."